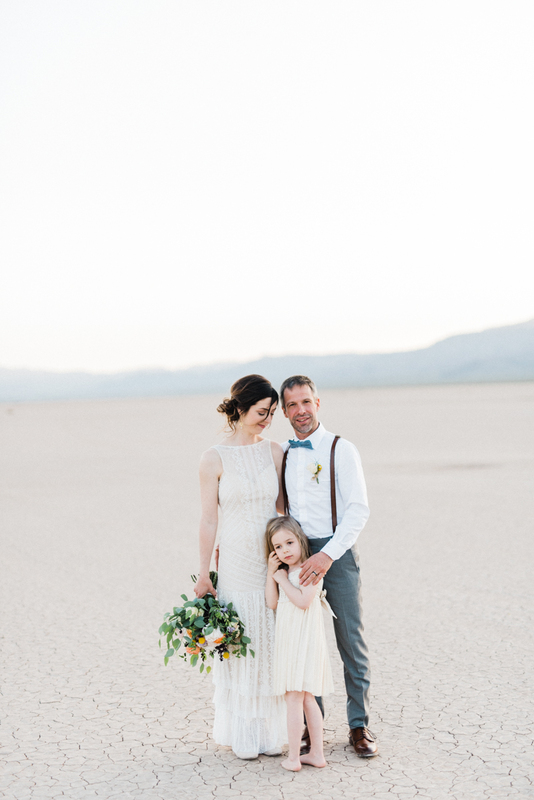 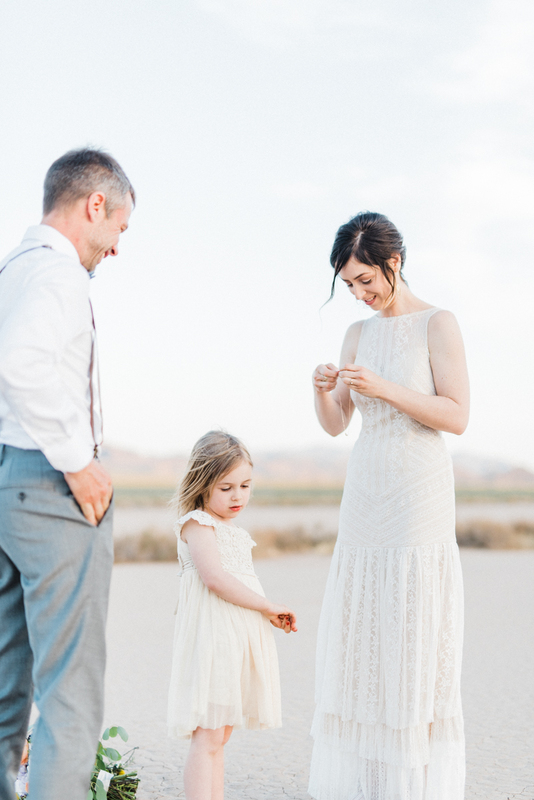 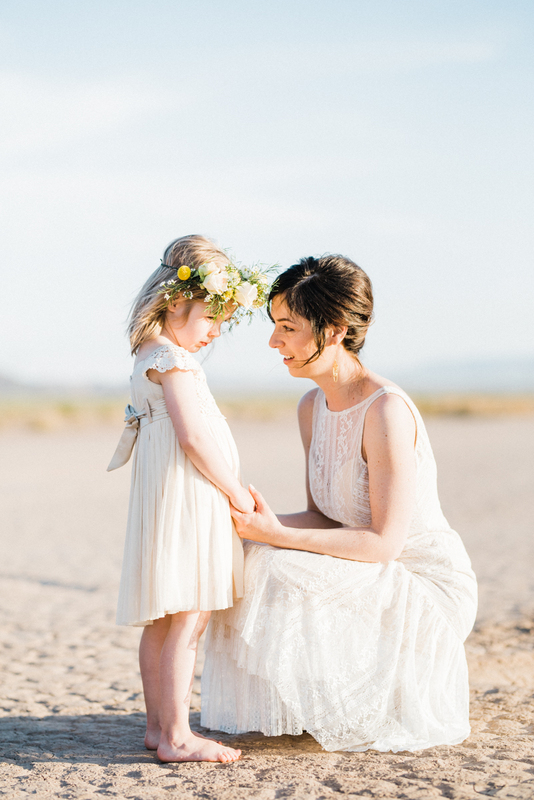 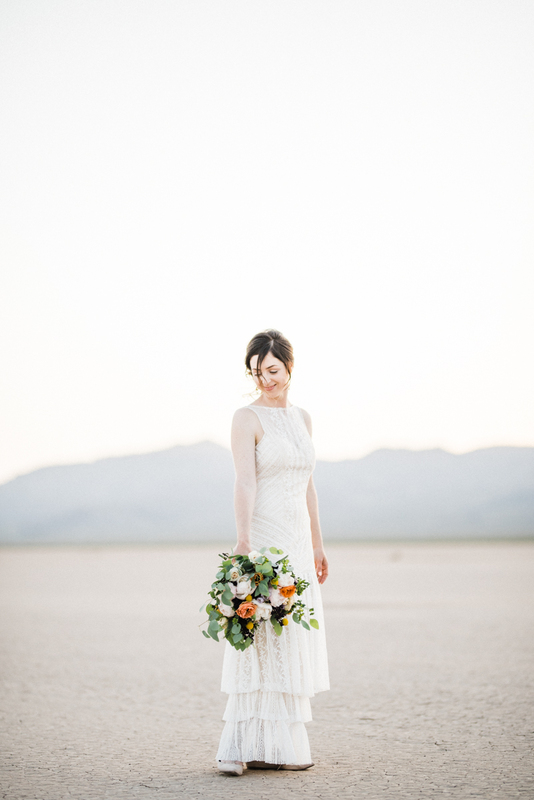 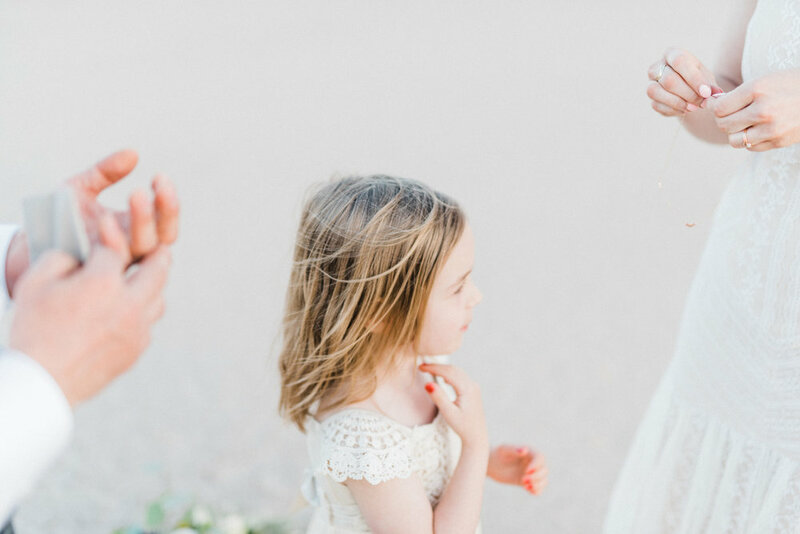 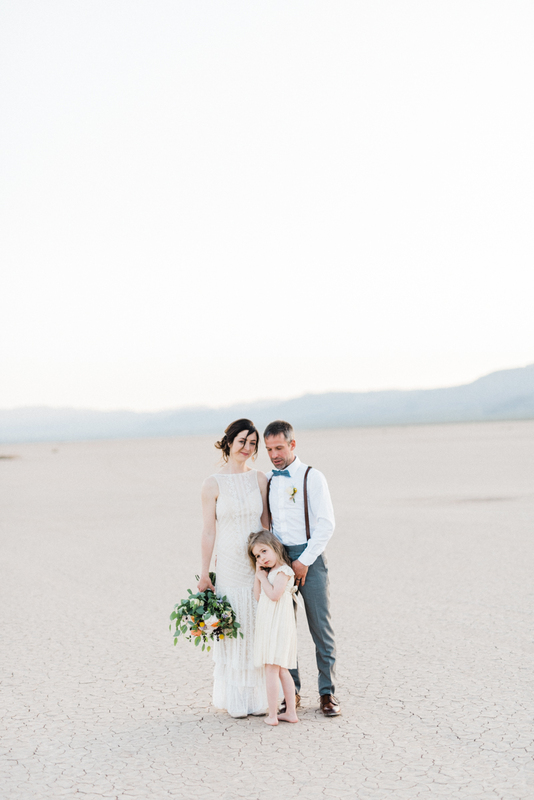 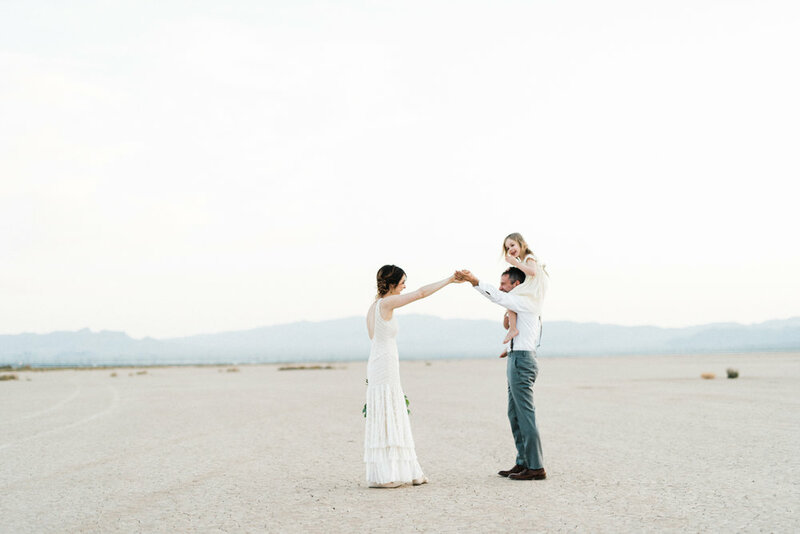 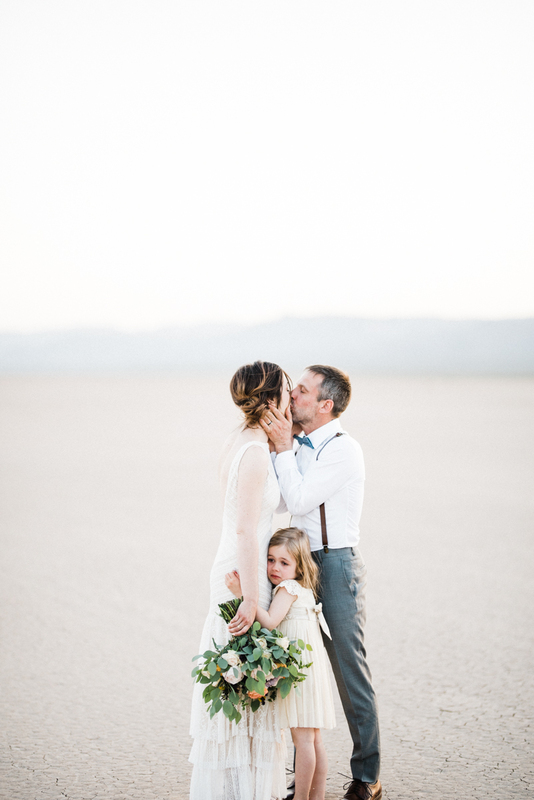 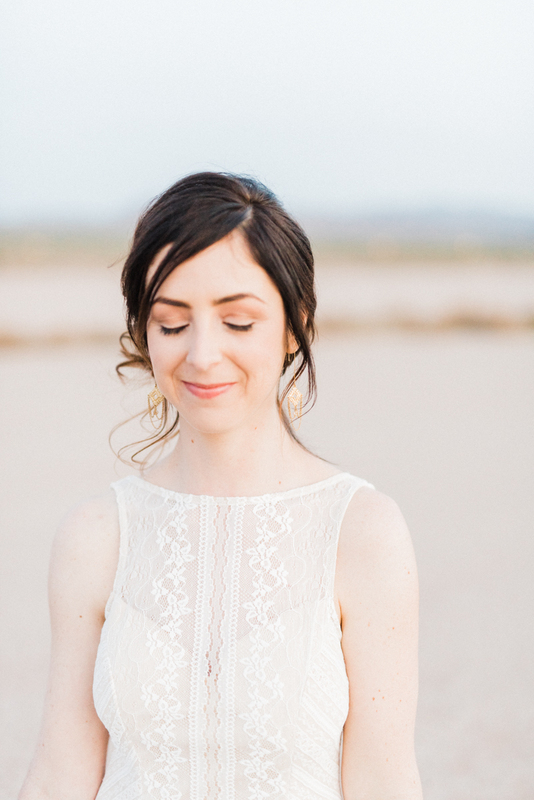 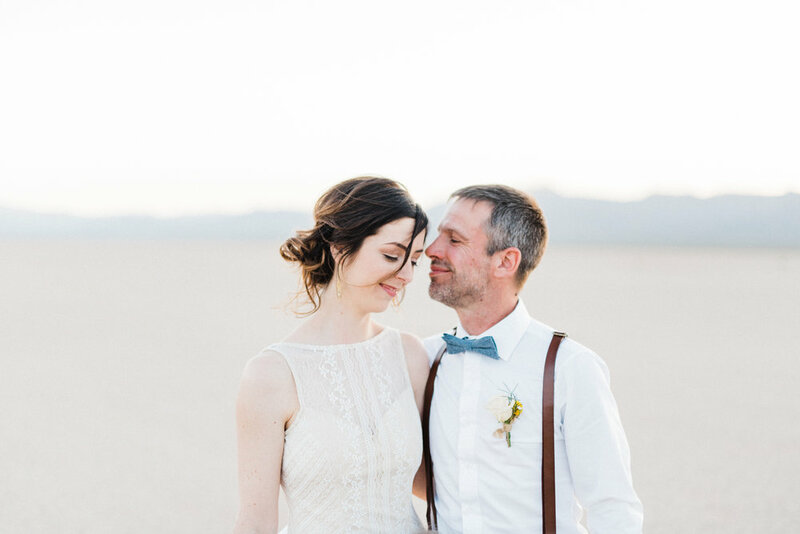 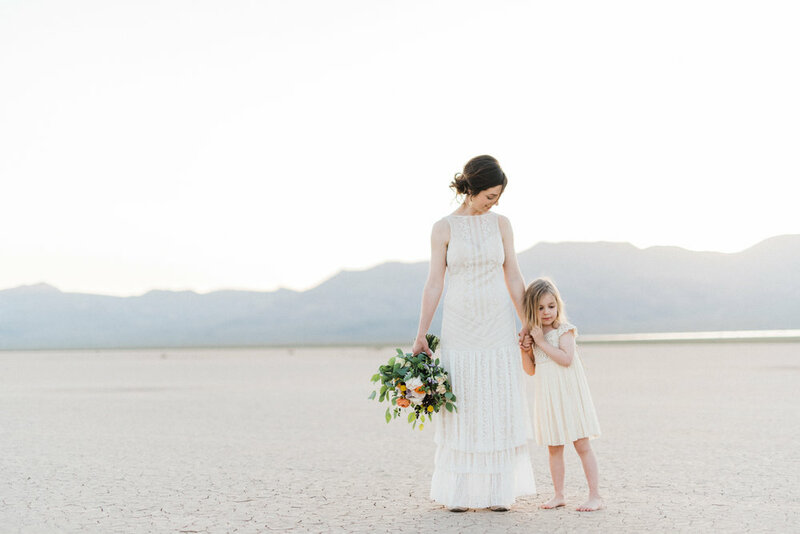 "Josianne and Louis-Philippe, along with their daughter Dalie, had such a sweet wide open space Las Vegas desert wedding. 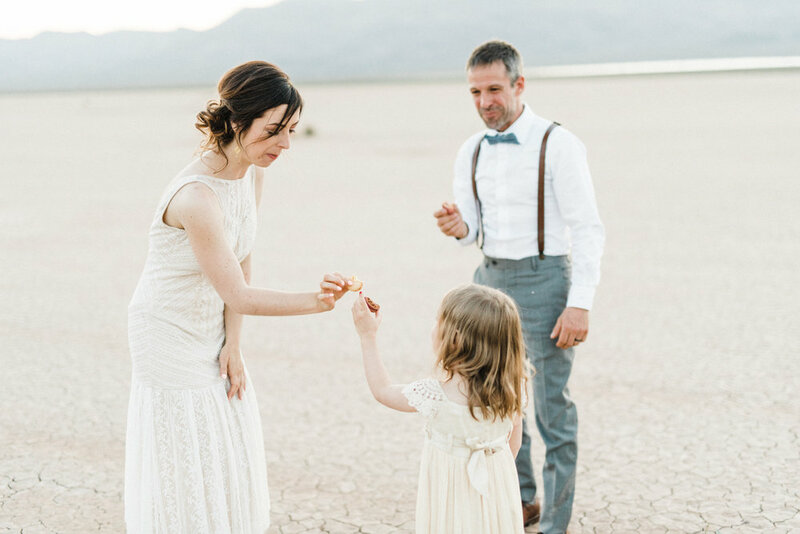 Dalie received a special necklace from her parents part way through the ceremony because having their little girl be a part of their love story was so important for these two. 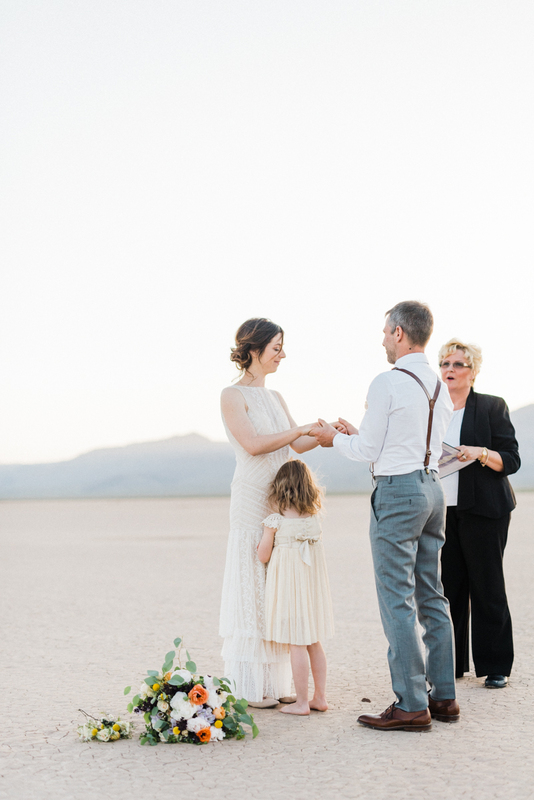 Dalie drew a heart on the back of their vows, she played between their legs as the ceremony was being performed by Bonnie and she even yawned a few times and played with her mom's dress. 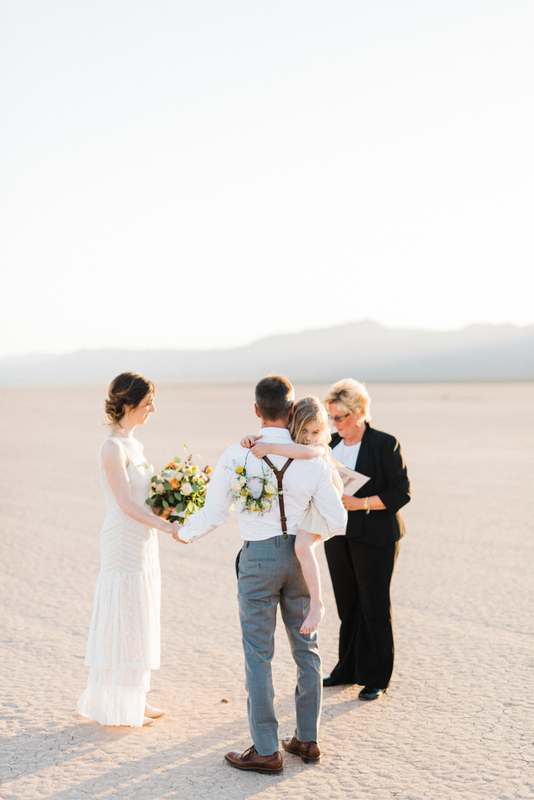 After the ceremony concluded and the couple was pronounced husband and wife, Dalie and Josianne snuggled and twirled under the moonlight. 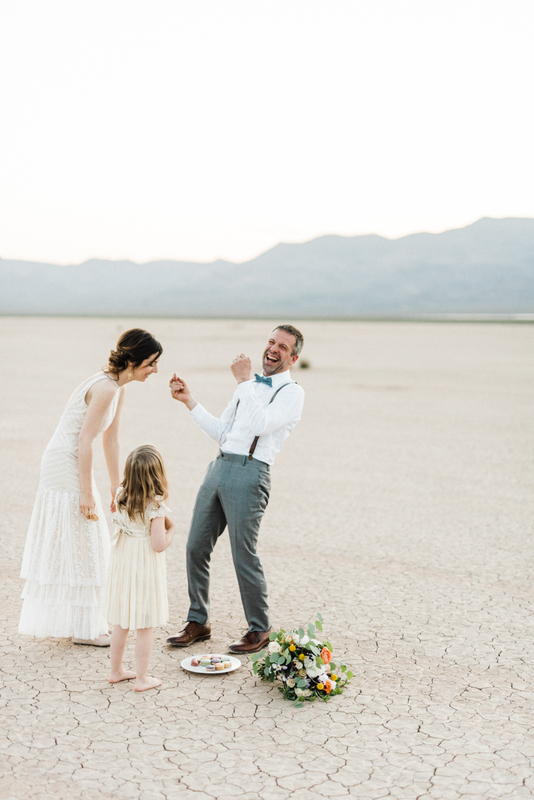 They brought out macaroons to celebrate and said 'tchin-tchin' (cheers) to their marriage."